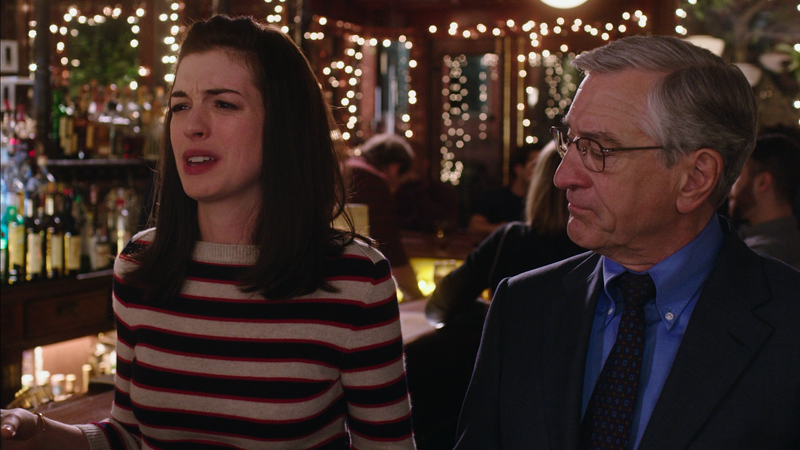 The Intern has its problems for sure, specifically in the screenplay department where it is a half baked plot and gets sidetracked with semi-subplots that don’t amount to very much and are a bit too outlandish. That said, I did like the core cast, particularly Robert De Niro and Anne Hathaway who made this far more entertaining than it really deserved. Plot Synopsis: Ben Whittaker (ROBERT DE NIRO) is a 70-year-old who gets the chance to work as a senior intern at an online fashion start-up founded and run by the ambitious Jules Ostin (ANNE HATHAWAY). As the two generations collide, they also find friendship and someone to count on: each other. The film also focuses on Jules’ personal life with a loving husband (ANDERS HOLM) and an adorable daughter (JOJO KUSHNER), as she attempts to balance home life and a business needing her every waking moment to troubleshoot issues from deliveries to the simplicity of packaging. Ben for his part adapts to the 21st century but makes quick friends with fellow interns (including one played by ZACK PERLMAN) as well as entering a budding relationship with Fiona (RENE RUSSO) a corporate masseuse. Quick Hit Review: Looking over the career of writer-director Nancy Meyers, it was noteworthy that most of her films, only six in all, that they were generally pleasing with limited to no conflict. 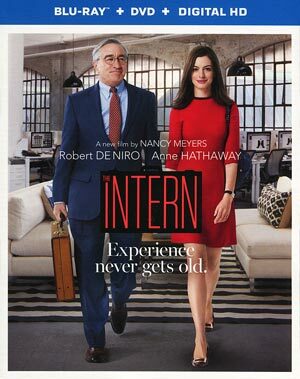 The Intern is her latest and although the lack of conflict could make for a dull movie, I find it to be more refreshing because more often than not, modern film has artificial conflict for conflict sake. It also doesn’t hurt having two great actors in De Niro and Hathaway in your film either. The pair shares some fun scenes together and really masks or allows one to overlook other issues with the screenplay (which is uneven with strange twists including a home break-in). The two do give good performances and the film also has a respectable supporting cast from Adam DeVine to Zack Perlman. 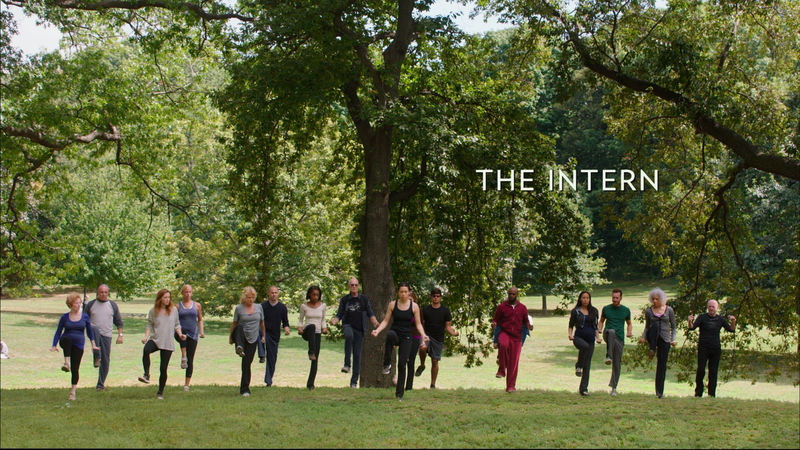 In the end, The Intern is one of the amiable yet aimless films of 2015 and although it probably could’ve been better, and probably shorter, I can’t say I at least wasn’t entertained, thanks in large part to the two stars. However, this is no doubt a film destined to air, and re-air, on cable television a la You’ve Got Mail. This release comes with a matted slip cover. Inside is the standard DVD Copy and a redemption code for the Digital HD copy. Learning from Experience (4:46; HD) – Director Nancy Meyers and the cast discuss bridging the “generation gap” in a humorous way. Designs on Life (6:07; HD) – Learn about the film’s runway-ready looks and eye-popping interior design. The Three Interns (5:46; HD) – This is an interview with Comedy Central favorites Adam DeVine, Zack Pearlman and Jason Orley. 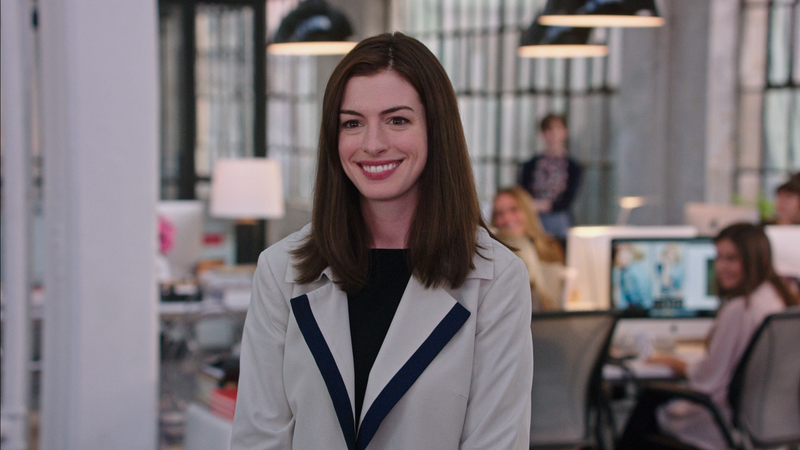 Generally speaking, The Intern transfer is quite colorful as expected from a by and large light-hearted comedy. Detail looks sharp and there were no major instances of artifacting, aliasing, banding or other obvious flaws. The movie is shown with a 1.78 widescreen aspect ratio and given a 1080p high-definition transfer. On a similar note, the DTS-HD Master Audio 5.1 track offered up provides for good dialogue levels coming through the center channel and that’s really all there is for this track aside from the generic comedic score making up the front and, primarily, rear speakers. 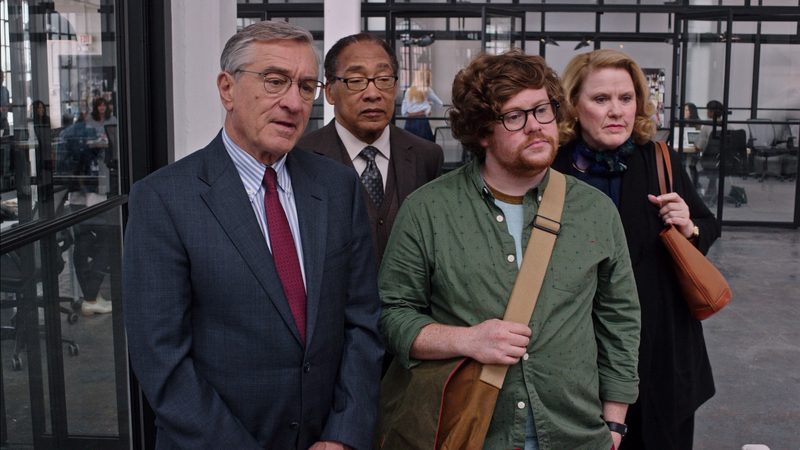 Overall, The Intern has its problems for sure, specifically in the screenplay department where it is a half baked plot and gets sidetracked with semi-subplots that don’t amount to very much and are a bit too outlandish. That said, I did like the core cast, particularly Robert De Niro and Anne Hathaway who made this far more entertaining than it really deserved. As a rental, this might be worth it. The Blu-ray offers good enough video and audio transfers and a few forgettable featurettes.